My travel pouch still has the scent of apricot because of the body lotion I kept in it, from the last hotel I visited in Leh. Every time I smell it, I feel the mountains and the snow. It's safe to say that travelling is addictive. Honestly, you could be an adventurous girl who prefers hiking on steep mountains or the kind who wants a luxurious 5-star hotel. Be it a mountain or a beach, a mall filled with luxury brands or a museum, street food or Italian restaurant, whichever might be your favourite spot, you're a true-blue wanderlust woman! So our lovely woman with wanderlust, we have some of our favourite products from POPxo's new 'Wanderlust' line to please your travel bug. Check these out! Imagine sitting in a room full of people busy on their laptops but you don't feel being there. You want to lie down in your top with an umbrella over your head in between beach sand. You want coconut water in one of your hand and a long due book in the other. Listening to the waves of the sea, sunlight is what you feel. 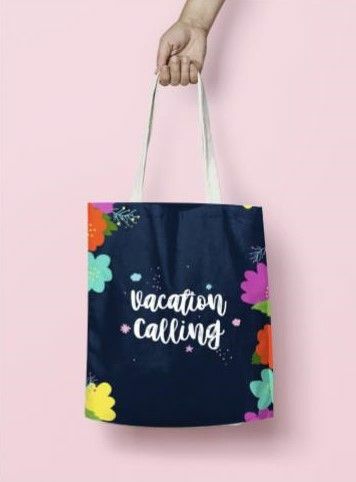 You take a look at your beautiful tote and now you know, it's Vacation Calling! Travelling is not just a hobby, it's an addiction, probably the healthiest one. 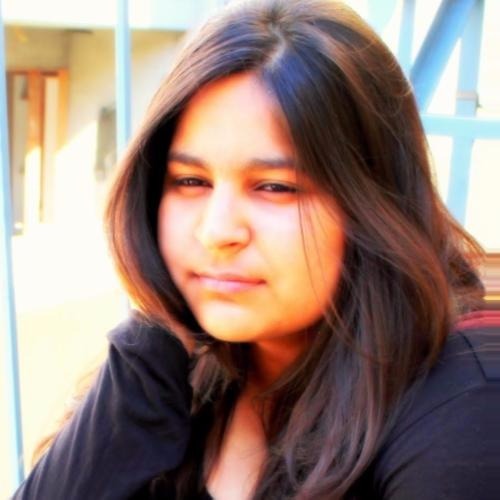 We fantasize about travelling the world, meeting new people, going anywhere and everywhere. 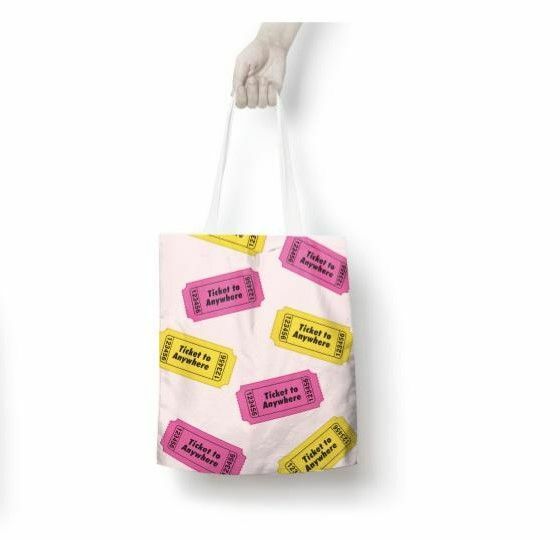 It's satisfying to think about getting a ticket to anywhere and much like me, I'm sure you would love to own a tote that doesn't let you give up on your fantasies. Hawaii and Summer go hand in hand! But when you are tired of being the only one to plan and make efforts to start a conversation about an 'all-friends trip,' forget about being subtle. 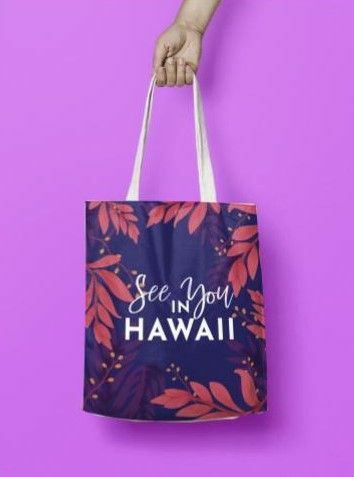 Tease your friends with this 'See You In Hawaii' tote and let them known what's on your mind. 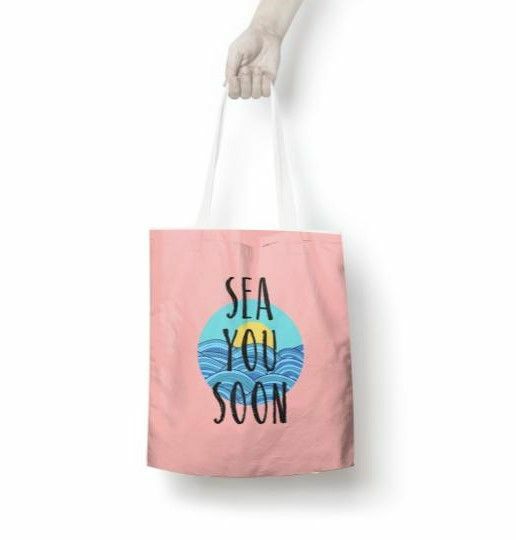 The story of my life: "Well hello, beach, we're sitting in the class, my friends and I are looking at my 'Sea You Soon' tote and we are picturing ourselves building sand castles so we'll probably be seeing you soon!" Do you and your friends ever look at a quote and be like 'I wish that was my life!!!." 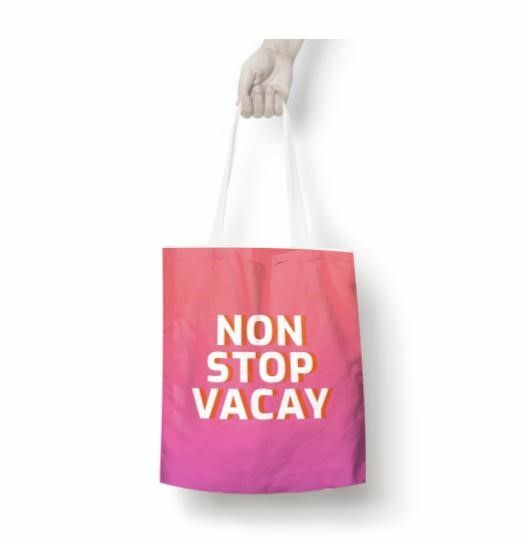 This Non Stop Vacay tote falls into that category. As long as you have this one in front of you, carrying your essentials, it'll keep you inspired! Pink and orange, that's all the summer colours you need to feel lit on your next holiday. 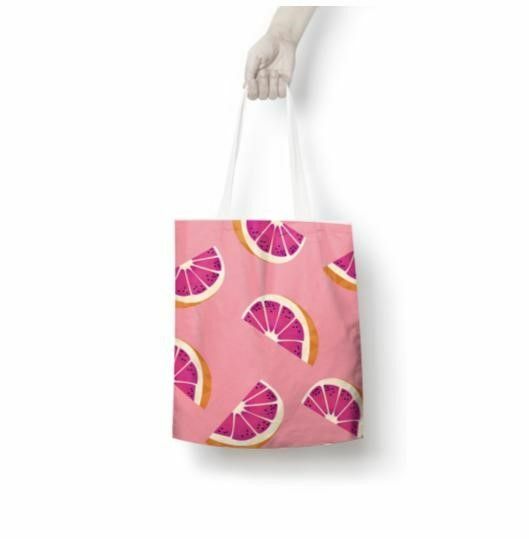 This grapefruit tote is out of ones that'll go so well with your white top and shorts on the beach. Pair it with a hat and you'll be golden! 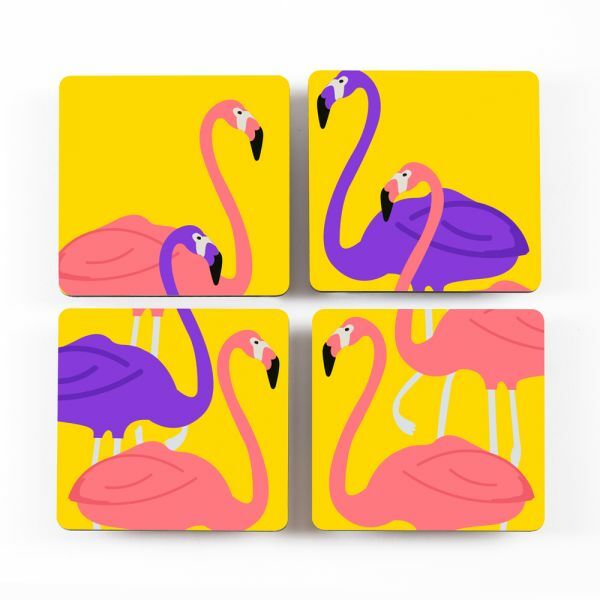 Flamingos, why so cute?! This print is brighter than the day and will inspire you to plan your next vacay. 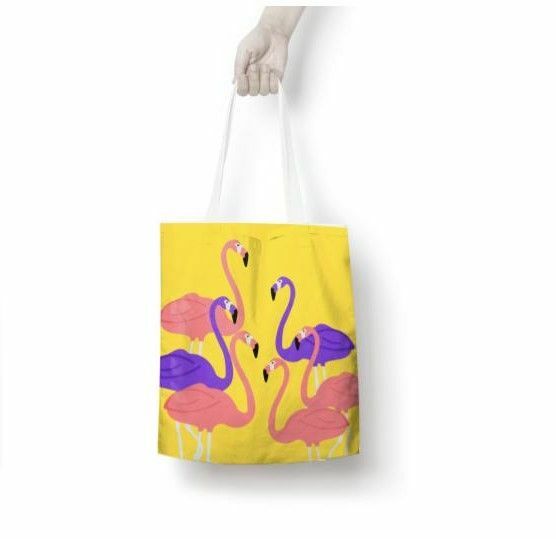 This tote will so go well with your pastel shirt and denim shorts. Always, always and...always! 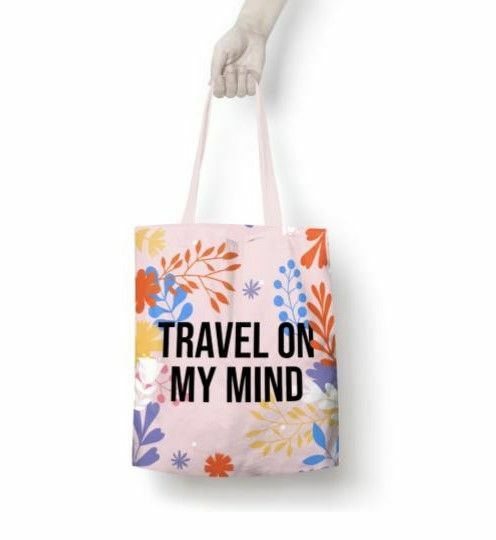 If you can't stop thinking about travel perks, you gotta get this beautiful 'Travel On My Mind' tote, it has all the fresh colours you need to inspire yourself for that world tour! No matter how many mugs you already have, there's no such thing as too many mugs. 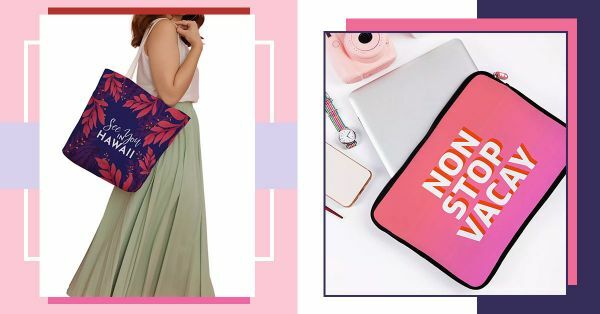 But this time, you need a holiday as much as you need a new coffee mug so let the inspiration ceremony begin with our Non Stop Vacay mug, everytime you or your buddies drink a latte, you guys will only talk about trips.